Displays the alias name defined in the file storage location configuration of the imported portal. 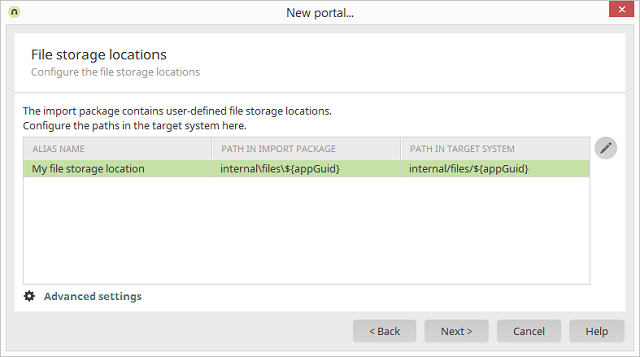 Displays the path defined in the file storage location configuration of the imported portal. Displays the path where the file storage location will be created during the import. Opens a dialog where the properties of the currently selected file storage location can be edited. Opens a dialog where the settings for importing the file data fields can be edited.